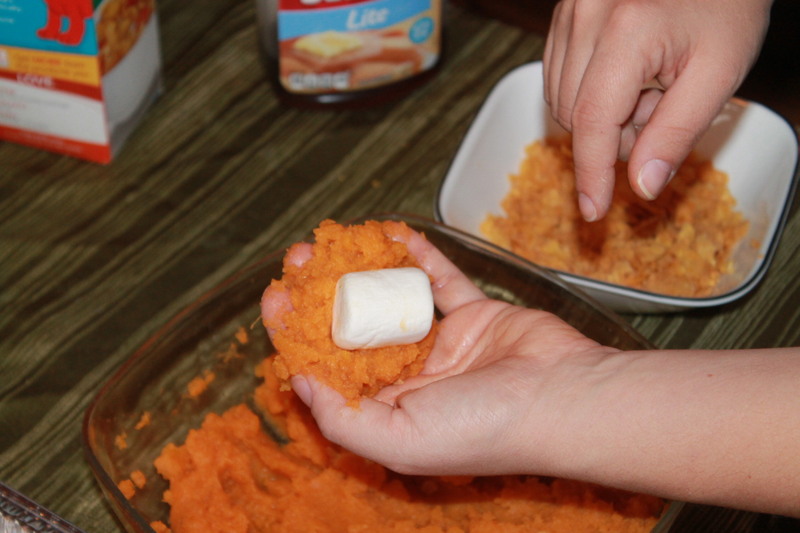 Did you think a sweet potato could taste any better? 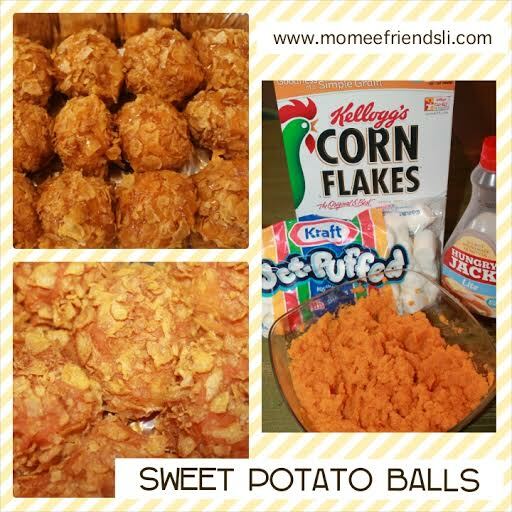 This recipe allows the sweet potato to become even sweeter with a delicious Marshmallow center, and crispy cornflake outer layer topped with maple syrup. 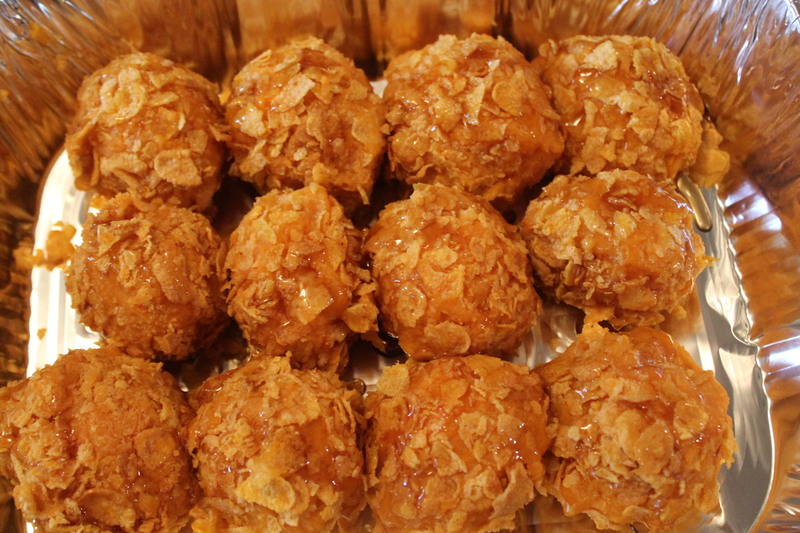 These Sweet Potato Balls are so Yummy… that this side dish will have you wondering if it is a dessert? or breakfast? or does it belong with your dinner? 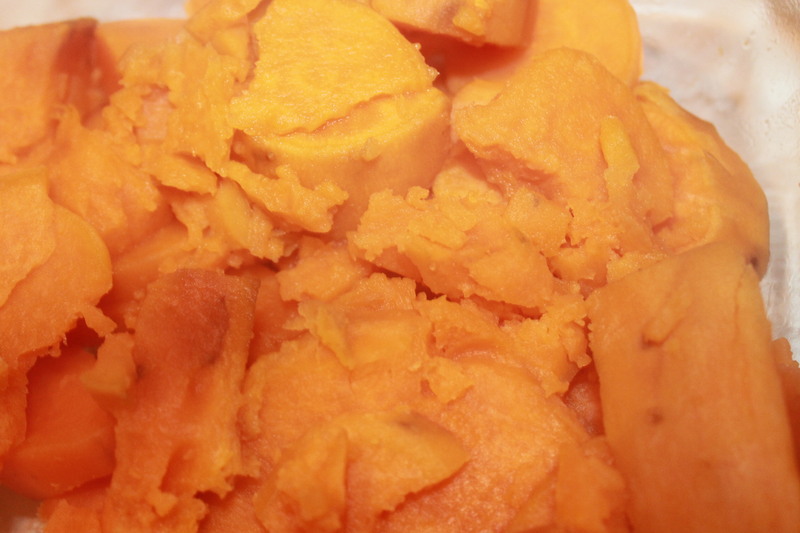 First, peel and cut your sweet potato into chunks. Put, in boiling water until the potatoes become soft enough to mash. 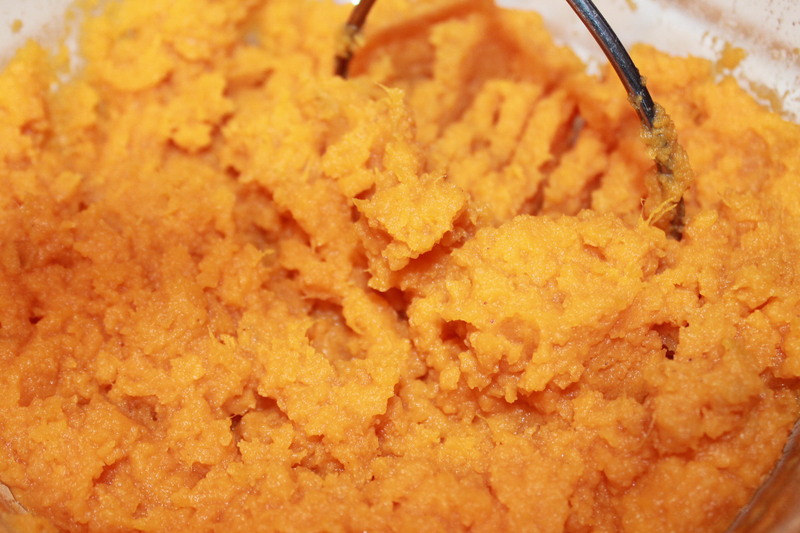 While mashing, add the nutmeg and brown sugar to the mashed sweet potatoes. 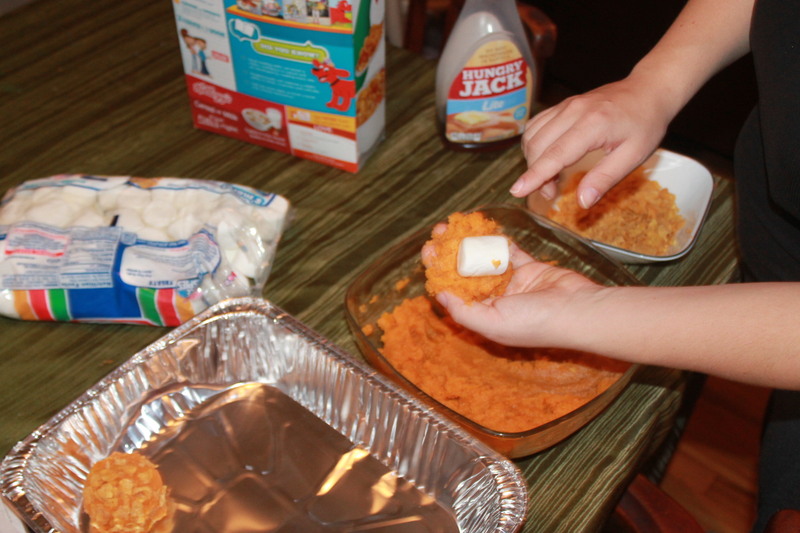 Once you have mashed and mixed the sweet potatoes well it is time to use the marshmallows. 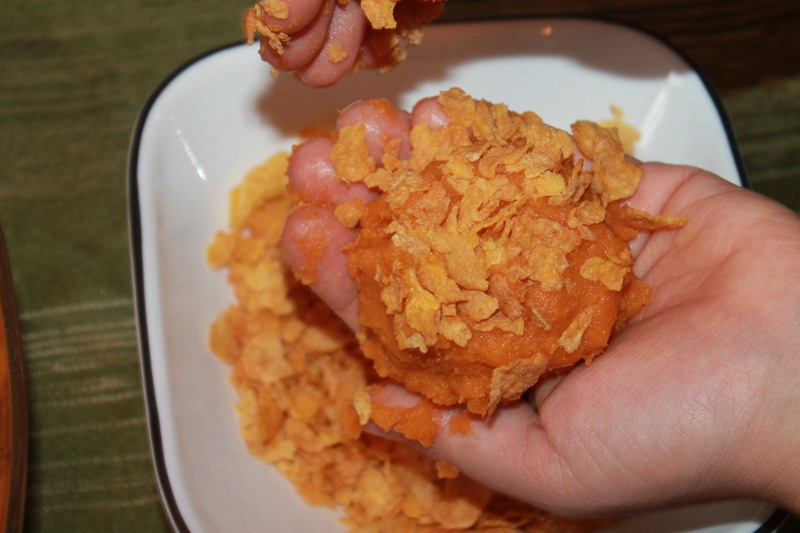 Crush the cornflakes and roll the ball into them. Use all the mashed sweet potatoes. 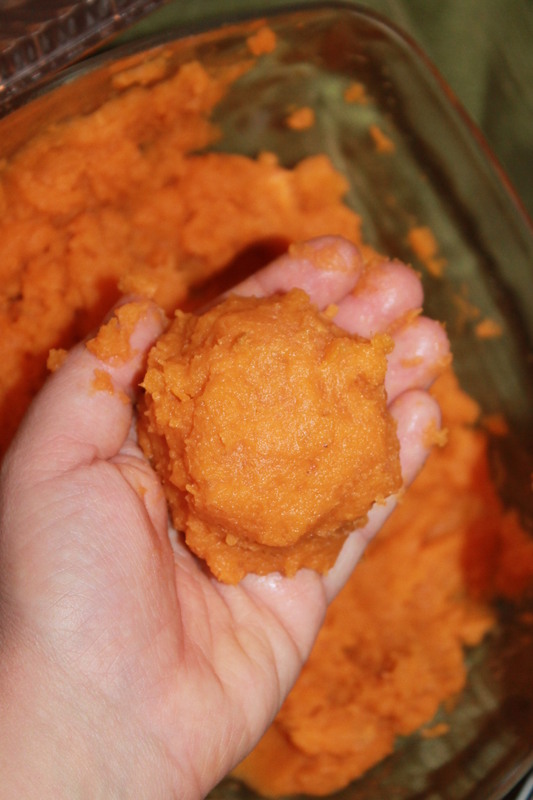 You will get about 12 sweet potatoes balls for every two large sweet potatoes. Top the batch with maple syrup. 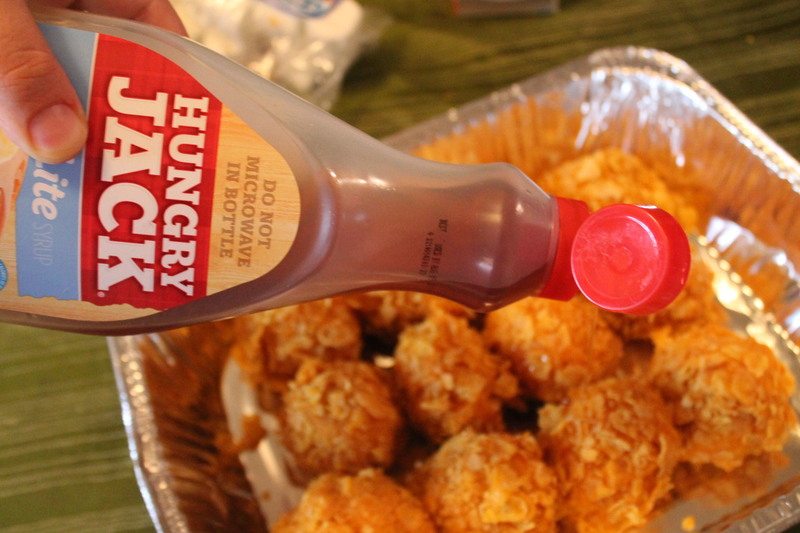 This will add even more sweetness to the sweet potato balls. 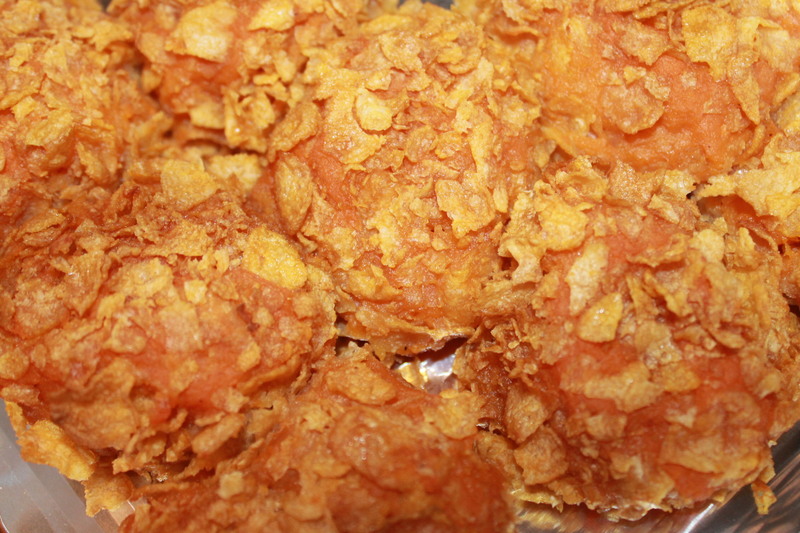 Bake in a 350 degree F oven for 30 minutes or until the cornflakes get a golden brown color. Serve and Enjoy! 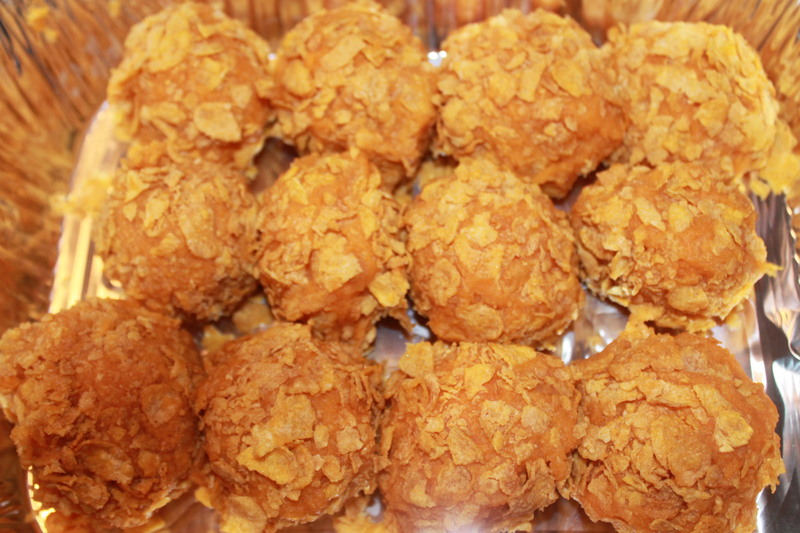 We love sweet potatoes but, these sweet potato balls are the ultimate indulgence. I know you and your family will love them as much as we do. From my Momee kitchen to yours… Enjoy!